Storyteller Laura Still helps you live the stories of pioneers, soldiers, outlaws, and even fictional characters who walked these streets before you. Knoxville has a rich history full of colorful characters and famous, and infamous, figures whose lives have been the inspiration for books, movies, and works of art. Take a stroll through history in beautiful downtown Knoxville while listening to true tales of the heroes, heels, and hardened criminals that are part of the hidden lore of this unique East Tennessee town. 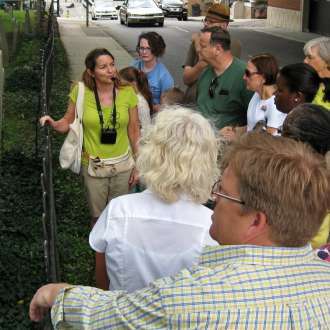 We offer a variety of history tours on a rotating schedule. Check our website for the latest schedule. If you don't see what you want call to see if we can change or add a tour for you. 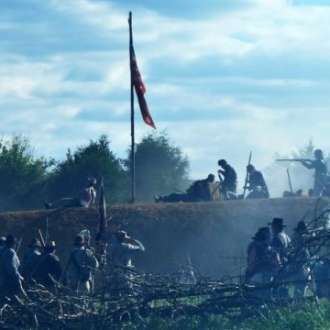 Civil War - Walk the streets of a city torn in two by divided loyalties, then get a Sunsphere view of the fighting. Spies, bridge burners, miracle shots, betrayal, & battle. Gunslingers - Family feuds & wanted outlaws. You'll relive the days when Knoxville was the wild west and Gay Street was the OK Corral. Old Gray Cemetery - Tour a little-known historic jewel dating to when beautiful marble and tragic violence filled the park-like grounds. Proceeds help the cemetery. Shadow Side Ghost Tours - Our history of blood-stained streets echoing with gunfire is full of restless spirits. Visit their haunts and hear local legends of ghostly apparitions. Three different tours of downtown and the Old City. Knoxville Botanical Garden - Ten years before statehood David Howell planted a garden, establishing a family business that would last over 200 years. Travel from the frontier to today hearing the story of this historic property in sun and shadow.